It looks like Larry David is trying steal Tina Fey's thunder as the former Saturday Night Live staffer who returns for the best political impression. 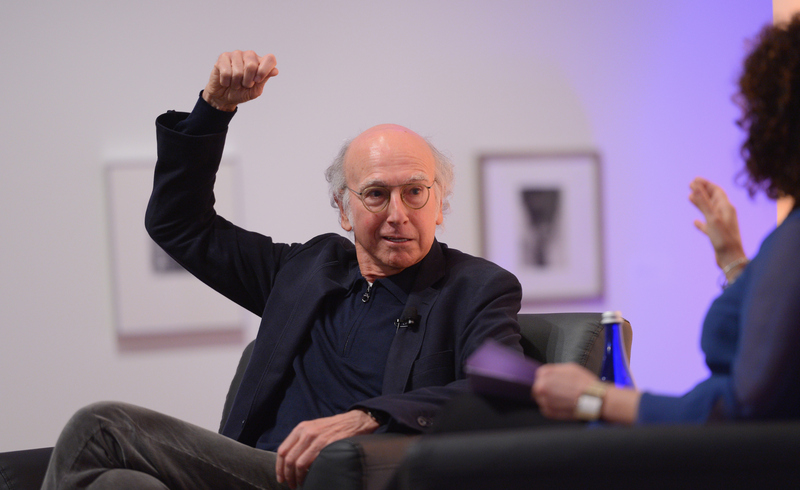 Just like Fey came to the show over and over to do her Sarah Palin impression, Larry David came back to reprise his Bernie Sanders impression again in the March 13 episode, hosted by Ariana Grande. While Fey had a spot-on impression of Palin, though, David has more of a broad caricature of Sanders. His impression is half-parody of Sanders, half-impression of my cranky old grandpa. And it's great. He should do it every week. He started off by apologizing to everyone for the passion of his supporters on Facebook. Even he seemed to find the constant posts annoying. "I love my supporters, but they're too much," he said. "I'm great, but not five-posts-a-day great." Later, when they asked what he thought of Michigan — a state where he had a big primary win — he had a strange reason for approving of the state. "They give you 10 cents for cans," he said. "I made a fortune." I wonder if David was the one who came up with the Michigan bottle deposit plot on that episode of Seinfeld . Of course, David wasn't the only one doing a political impression during the episode's cold open. Darrell Hammond came back again to do his Donald Trump, which is the best Trump impression the show has ever seen. Jay Pharaoh also revived his Ben Carson. Kate McKinnon's Hillary Clinton wasn't in the cold open, but she turned up in a pre-filmed bit shortly thereafter. But, for this episode at least, David was the funniest political impression of the night. Like Tina Fey, I hope he keep showing up, even if it's just for that one impression.